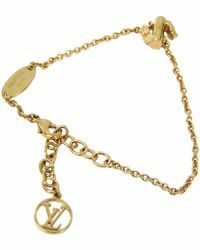 The Louis Vuitton monogram, a geometric motif of flowers and the LV initials, is known worldwide as the signature of the French fashion house. 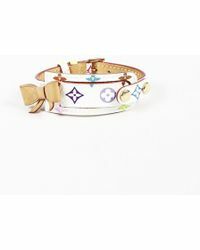 First founded in 1854 by a Parisian trunk-maker, since its creation the brand has focused on heritage and emblems. 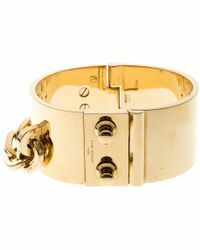 Creative Director Nicholas GhesquiÃ¨re has always been sure to bring the brand's history into its modern designs as the Louis Vuitton jewelry collection shows. 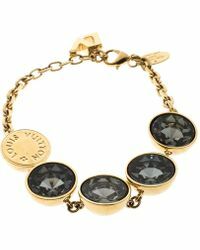 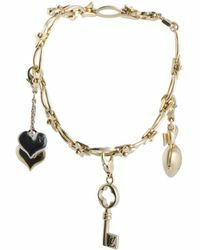 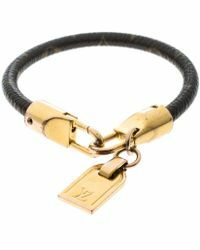 Louis Vuitton bracelets, often crafted from materials including resin, precious metals and leather, feature variations of the brand's famous monogram including flower charms and LV initial details. 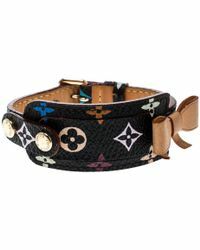 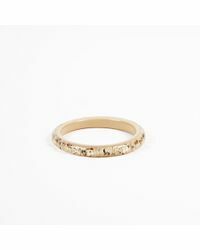 Showing 571 results for "Women's Louis Vuitton Bracelets"